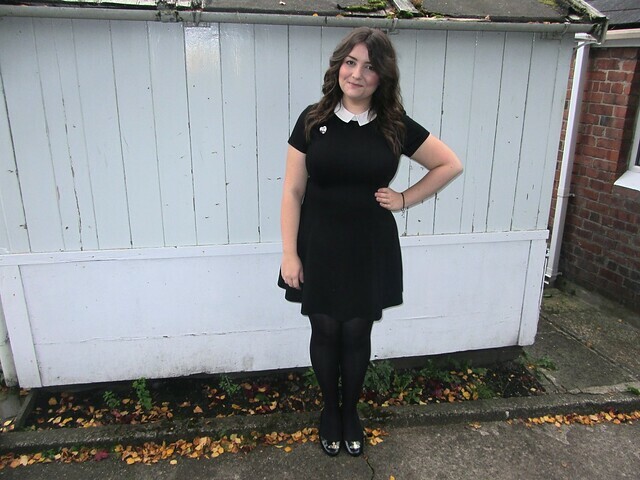 This is definitely one of my favourite dresses at the moment, it makes me feel like Wednesday Addams and Gizzi Erskine at the same time. I wore this for afternoon tea on Saturday and felt rather ladylike and sophisticated. It makes a nice change from the skater skirt and converse combination I've been wearing most of the month. I must note that the following photo was taken pre cream tea on Saturday because post cream tea I was stuffed and had a definite belly protruding through the dress. Two scones with clotted cream and tea mmm. Me, greedy? Never! I was asked if I would like to review something from the new Pandora collection to try out and my initial reaction was that the brand wasn't for me. I always associated it with the glass bead charms and chunky silver bracelets and that's not my style at all. 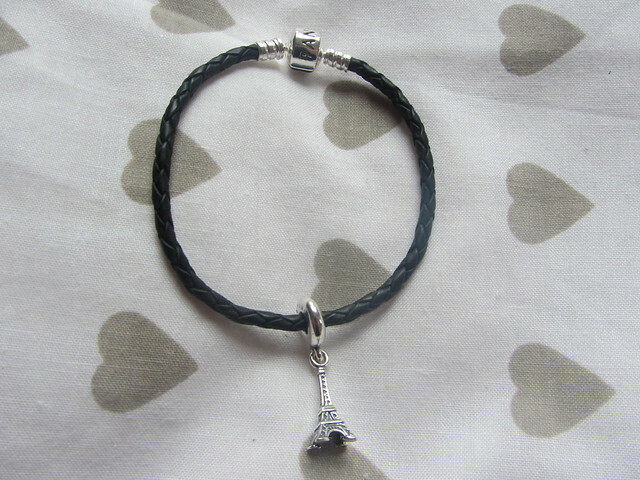 I was pleasantly surprised when I saw the adorable eiffel tower charm which reminded me of my trips there and my friends across the channel. 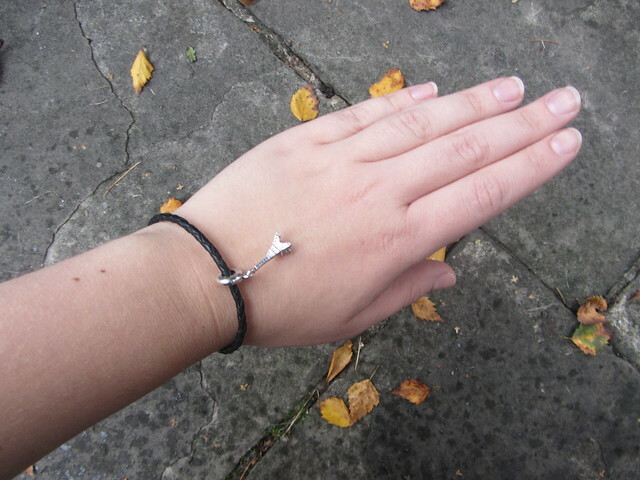 I've been wearing this bracelet to work, gigs and nights out since it arrived and it's got lots of compliments. I can honestly say I'm a Pandora convert now. I'm already planning which charm to get next and the ones below are at the top of my list. Pandora charms are the perfect way to mark something special and celebrate unique travel experiences. I really like the lighthouse charm which will remind me of a romantic trip to a lighthouse and I'm going to treat myself to the boat charm on payday to remind me of the wonderful time I had at Bestival this year with a HMS Bestival theme. 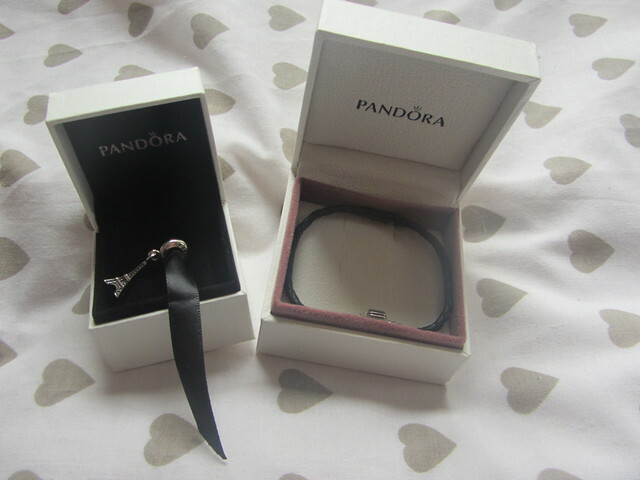 Are you a Pandora fan or sceptic? I've never owned anything from them as I don't wear silver jewellery only gold. I wish they did gold plated charms etc as I really like the rope bracelets and cute charms I just think they'd look better in gold! You look adorable! I've never been one for chunky Pandora bracelets either so it's lovely to see them doing more delicate pieces. cute isn't it? much more my style than the beads. This dress looks gorgeous on you! Love your hair too!